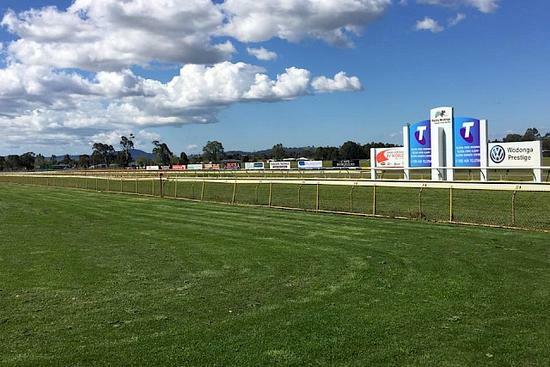 The Craig Widdison camp will saddle up one runner in the form of Art She Quick to the Wodonga and District turf club meeting on Saturday, June 17. The single stable runner will compete in race 2 to be saddled up by the team, for her first outing after formally being trained out of the John Saddler yard. Art She Quick is a three-year-old Bay Filly and will compete in a maiden plate over 1200 m with Nick Souquet aboard jumping from barrier (1). Art She Quick is a three-year-old Bay Filly having raced on seven occasions for two placings earning prize money exceeding $10,000. She was last seen at Cranbourne on March 31 finishing fifth of 7, arriving 6.10 lengths behind Ashleigh Rae in a time of 1:32.11 for the trip. Best of luck to all connected with their runner at Wodonga on Saturday.